Sports. Hot summer days. Manly men. Attractive women. Whether beer is your go-to drink or not, it’s hard to not be impressed with how beer manufacturers have ensured their product is strongly associated with a range of desirable situations and topics for the average male consumer. But, despite being a common theme across countries, there are two in particular that have really taken this message to heart, to the point of being comical: Australia and the US. Australia and the US are two countries where beer has become almost synonymous with the notion of being a “man”. Our sporting heroes appear in ads selling beer, our favorite sports teams are sponsored by beer, and when it’s not sports, it’s scantily clad women, beaches, blokes being blokes, or all three together. But perhaps the most interesting aspect of the beer culture in these two countries is that, despite the similarities, there is an amazing mutual lack of understanding between the two. Australians for the most part have nothing but disdain for American beer – which from their perspective consists only of Bud, Miller and Coors (someone particularly familiar with international beer might venture “oh, but I don’t mind that Sierra Nevada”). Meanwhile most Americans’ knowledge of Australian beer starts and ends with a Foster’s at the Outback Steakhouse. Both are woefully uninformed views. Hopefully, the following 1800-odd words can help clear up a few of the myths and misunderstandings – and add some mutual appreciation. Mention American beer to an average Australian and you are likely to hear the words “tasteless”, “weak”, “watery” and “yellow fizzy water”, among other things not suitable for a professional blog. And let’s be honest, looking at a list of the top 10 beers in the US (see Table 1), it is hard to argue with those sentiments – the list is full of light (light carb for Australian readers) and relatively flavorless American style lagers. Unfortunately, it is these top 10 mass produced beers that come to mind when Australians (and most people outside the US) think about American beer. That is a shame because what many Australians are completely missing out on is the absolutely massive and amazing craft beer scene that is thriving in the US. Despite appearing to be a recent phenomenon, the American craft beer scene has been making its mark since the mid-90s. After declining for much of the 20th century, the craft beer scene exploded from 446 breweries in 1993 to 1,514 by 1998. After a lull through the early and mid 2000’s, the numbers again took off in 2008 and 2009. By 2014, there were 3,464 breweries in the US. By comparison, in Australia (depending on who you ask) there are between 100 and 200 breweries. There are at least 4 states in the US that have more breweries than the whole of Australia. Craft beer also has a significantly larger proportion of the US beer market than in Australia (11% vs. 2-3%). In fact, when you look at just how big craft brewing has already become in the US (and it is still growing at a rapid pace), it makes headlines in Australian papers like “Has the craft beer machine reached saturation point?” seem a little ridiculous. Asides from the pure numbers though, arguably the most admirable aspect of the craft brewing scene in the US is the way small breweries and brewpubs become a point of reference for the local area. In Australia, craft beer is still largely seen as the domain of inner city hipsters and beer snobs. In the US, bars and pubs will often take pride in ensuring they have the offerings from the local brewery on tap. For beer lovers, this means travelling the US provides a veritable smorgasbord of different craft beers that change with every town and season. Mention Australian beer to an American, and you are likely to hear exactly one word: “Foster’s”. More knowledgeable Americans might venture that they have heard Foster’s isn’t actually that popular in Australia, which is both true and untrue. Let me explain. Foster’s Lager, the beer most Americans (and basically everyone not from Australia) associate with Australia is a beer produced by the Foster’s Group. What many don’t know is that the Foster’s Group actually produces a large range of beers under different labels in Australia, most of which make no mention of the name “Foster’s”. Looking at the top 10 Australian beers (see Table 2), you will notice that 5 of the top 10 beers in Australia are produced by Foster’s, and in particular their largest brewery – Carlton & United Breweries. However, despite the popularity of Foster’s beer, it is actually very rare to find Foster’s Lager in Australia anymore. In fact, the only place many Australians are likely to find it is in the imported beer section of the local supermarket or bottle-o. “Foster’s Lager had grown up as a mainstream Australian beer, punching at equal weight with VB in our portfolio. When we took it overseas, however, we took the brand slightly up-market and played heavily on ‘brand Australia’ – with international advertising featuring Paul Hogan, iconic Australian imagery and the ‘Australia’s famous beer’ tagline. That turned Foster’s into a top 10 international beer brand. One final footnote to the Foster’s story, in December 2011, Foster’s became a subsidiary in the world’s second largest brewer by revenues, SABMiller. Sadly, this means that the vast bulk of the beer being drunk by Australians is now owned by non-Australian multinationals. Why isn’t Craft Beer Big in Australia? As mentioned earlier, the craft beer scene in Australia is relatively small and under developed when compared to the US, even accounting for population differences. Yet Australia is a wealthy country with a healthy love for beer, so why hasn’t craft beer taken off in Australia like it has in the US? A big part of the problem is the huge market share of the two biggest beer producers in Australia, Lion Nathan and Foster’s, and how aggressively they protect that market share. A key weapon used by the big two to maintain market share is the tap or pourage contract, something that would be illegal in the US. 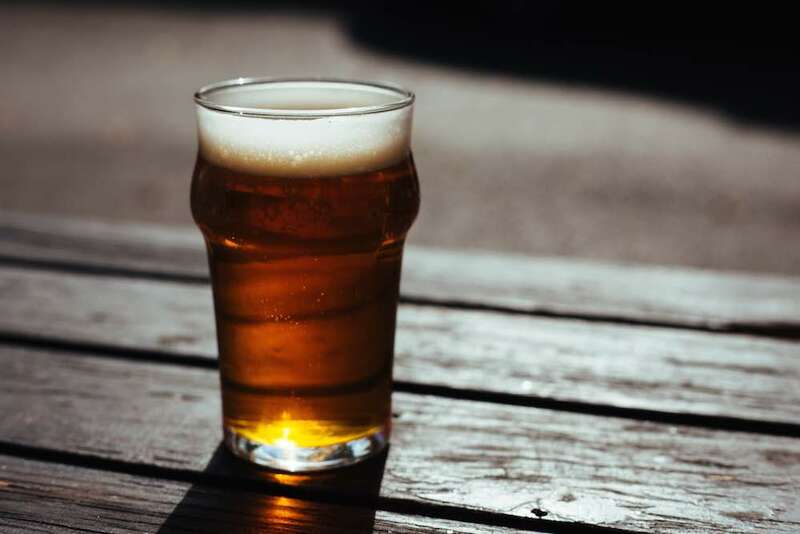 When negotiating to supply beer to a bar, hotel or pub, a contract will be agreed to that sees the brewer provide rebates and other benefits to the venue owner in exchange for securing exclusive access to most, if not all, of the taps. As an end consumer, this often means that Foster’s or Lion Nathan will own every beer (and cider) on tap at your regular watering hole. A second key to maintaining market share is the willingness of Lion Nathan and Foster’s to buy out smaller brewers that are proving popular. Even many Australians will be surprised to learn that beers they thought were coming from small independent breweries (White Rabbit, Little Creatures, Bees Knees, Fat Yak, Knappstein, Matilda Bay) are in fact owned by Lion Nathan and Foster’s. Competing against these two giants, craft breweries fighting to get access to taps, with typically more expensive small batch products, are often left with the choice of continuing to scrape out a living selling by the bottle, or selling out altogether. Even when a craft brewery does manage to get access to a tap, venue owners are often made generous offers to boot them in favor of another label from the big brewery that has locked up the other taps. “Sitting down to his computer, a Melbourne publican discovered an email waiting for him. Sent by an executive from Carlton & United Breweries (CUB), it contained an offer that left him gobsmacked. Despite the duopoly in the Australian beer market, craft brewers are having some impact on the Australian beer market. The presence of viable craft breweries with a wider range of beers available has forced the big breweries to significantly diversify their offerings. As a result, even though all the beers on tap may be from the same company, there is typically a much wider range of offerings today then there was even 10 years ago. And things could be about to get significantly better for craft brewers. The Australian Competition and Consumer Commission (ACCC) is rumored to be investigating whether tap contracts and other anti-competitive practices are legal under the Competition and Consumer Act. Even if they are found to be legal under the current law, the fact that these practices have been exposed is likely to create pressure for new regulations to be developed to help craft brewers survive and thrive. For those that have seen the diversity and creativity on display in the US craft beer market, any change that gives craft brewers in Australia a better chance would be very welcome.